Nestled on six acres, our lodging in Chimayo has views of the awe-inspiring Sangre de Cristo and Jemez Mountains. Nine guestrooms offer intimate and comfortable lodging accommodations (all with private baths & cozy robes), and five of our rooms are pet-friendly. The unique atmosphere of the inn is unlike anything you might experience during a typical hotel stay. 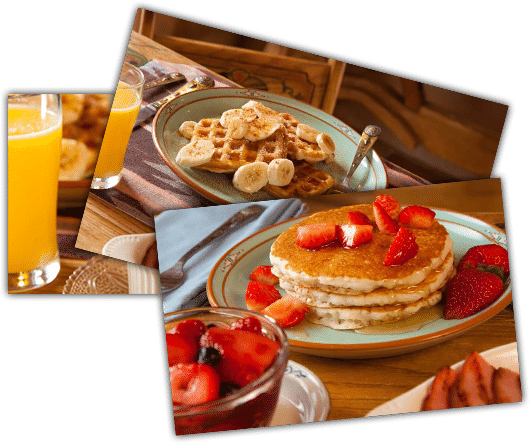 While staying at this luxurious bed and breakfast in New Mexico, you'll be treated with amenities and accommodations to make your stay enjoyable, including a hot and delicious homemade breakfast each morning. Unlike other hotels in Chimayo, NM, you will find that all of our rooms are filled with handpicked antiques and accented in a rustic Southwest style. Some rooms offer amenities such as an antique wood stove, a private patio, fireplace, private deck, or oversized bathtub. Architectural elements such as kiva fireplaces, wooden tongue & groove ceilings, Saltillo tile floors, and wooden vigas add to the warmth and rustic charm of our Chimayo, NM bed and breakfast. Book your next New Mexico vacation at Casa Escondida or learn more about our luxurious guest rooms, exciting vacation packages, and excellent special deals. Whether you’re in need of a relaxing weekend getaway or a romantic escape for two, we offer our guests only the best of both worlds. 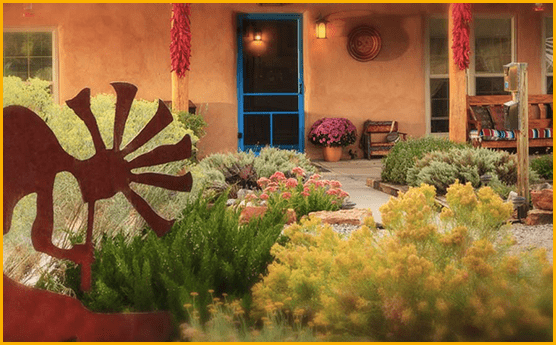 Meaning “hidden house” in Spanish, Casa Escondida is an enchanting Chimayo, NM bed & breakfast located in the foothills of the Sangre de Cristo and Jemez Mountains. Our peaceful and quiet setting provides everything you need for a truly rejuvenating stay without sacrificing convenience to nearby Chimayo attractions and picturesque cities such as Santa Fe, Taos, and Jemez Springs. It’s the epitome of what a memorable and relaxing vacation “away from it all” should be. Compared to other hotels in Chimayo, NM, a full, hot breakfast awaits you each morning and is served in our sunny breakfast room. Linger over that extra cup of morning coffee and the daily newspaper before setting off for a day of sightseeing in the Santa Fe and Taos area of northern New Mexico. At the end of the day you can look forward to enjoying a fire under the stars at the fire ring at our charming Chimayo, New Mexico, bed and breakfast.